If you happen to be a movie buff then your hard disk might be loaded with loads of movies and managing or organizing your movie collection would not be an easy job. Movie Monkey is an application that makes managing and organizing your movie collection very simple. 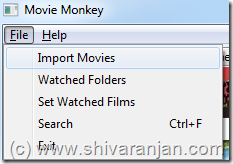 Movie Monkey automatically identifies and classifies the movies in a particular folder after they have been imported. On the left side of the application you can find the movie genres and on clicking on a genre will list you the available movies in that particular genre. 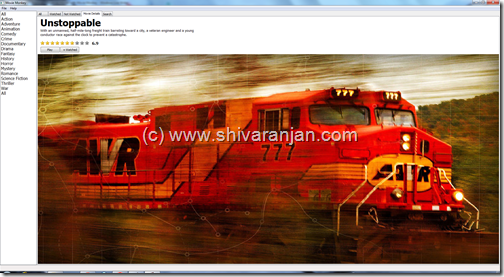 If you choose the Thriller genre then all the movies on your hard disk which belong to the thriller will be listed . If you select a movie the details are displayed in the ‘Movie Details’ tab and displays IMDB ratings, it also offers to launch the movie using your default movie player and add or remove that particular movie to watched list. 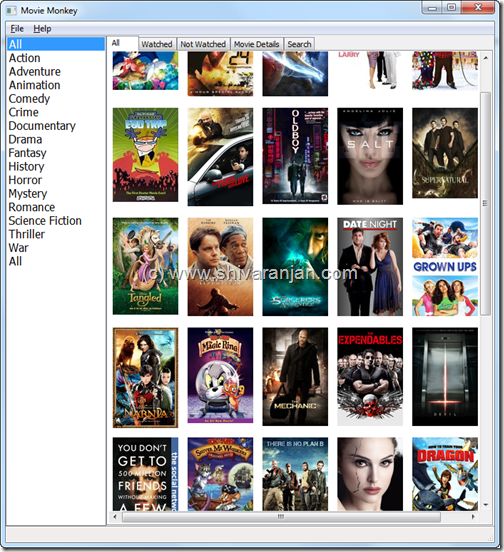 You can search the movies in your collection by title, director, actor and etc without the need for Windows Explorer. 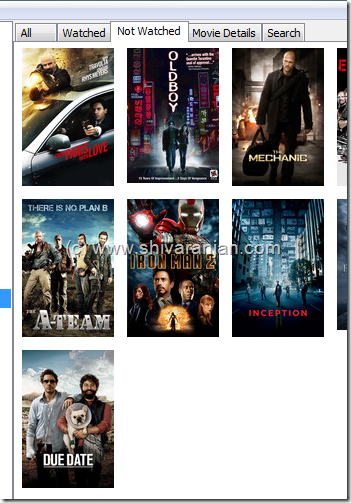 The application allows you to bulk / mass addition of movies to watched list so that you can quickly add all the movies that you have watched to Watched list. Currently this app is under beta and will be released soon, If you would like to try the application immediately you can go here and use the invite code shivaranjan to download Movie Monkey. 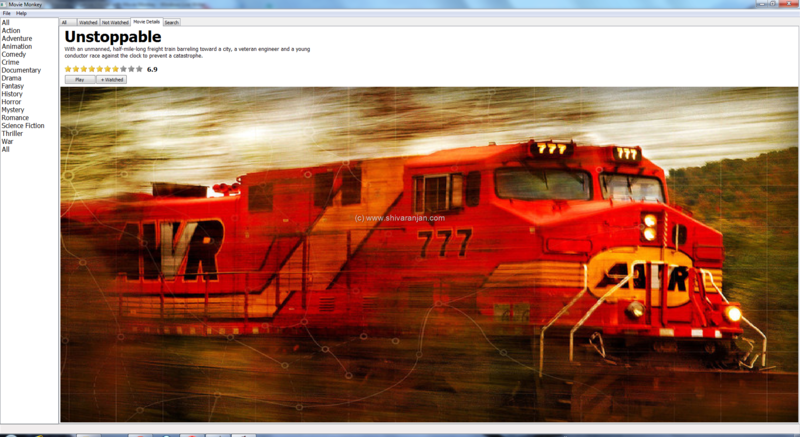 At the moment this app is only available only for Windows but the developer is working on Linux and Mac versions and they should be out soon.